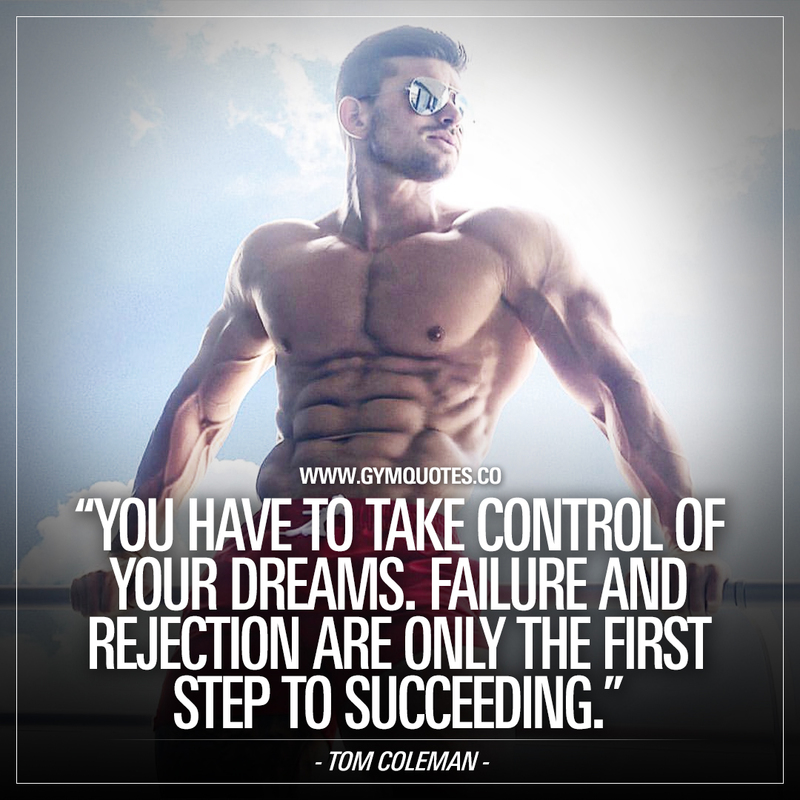 Tom Coleman quote: You have to take control of your dreams. Failure and rejection are only the first step to succeeding. You have to take control of your dreams. Failure and rejection are only the first step to succeeding.